As Irma was moving west and discovering herself, our food technology was creeping along. I found a site which gives some of the advances of the 1880’s. Here’s an edited list, based on the unscientific principle of things most interesting to me. 1880 The first successful shipment of frozen mutton made it to London from Australia. 1880 One farmer out of every four was a tenant. Of gainfully employed persons, 49% worked in agriculture. There were 4 million farms in the U.S., averaging about 134 acres. 1880 Warren Glass Works patented the glass milk bottle. 1880 Lydia Maria Francis Child died. An American abolitionist and author of novels and children’s books, she also wrote The Frugal Housewife (1829). 1881 James Harvey Logan of Santa Cruz, California developed the Loganberry, a cross between a red raspberry and a wild blackberry. 1881 Edwing Houston and Elihu Thomson patented a centrifugal separator, used in separating milk. 1881 The ice cream sundae was invented. Edward Berner of Two Rivers, Wisconsin, served a customer ice cream topped chocolate syrup (used to flavor ice cream sodas). It was a Sunday, and flavored soda water was not served on Sundays to respectable people. Remember this fact and please behave accordingly. 1881 Dr. Satori Kato of Japan introduced the first instant coffee at the Pan American World Fair. 1882 Swiss flour manufacturer Julius Maggi began commercial production of the first bouillon cubes, giving the poor a cheap way to make nutritious soup. 1883 First national gathering of cattlemen called by U.S. Commissioner of Agriculture, George Loring. The National Cattle Growers Association, was established in 1884. 1883 Oscar F. Mayer & Bros. was established. 1883 Horlick developed the process to dehydrate milk, calling it Malted Milk, useful for babies and invalids. It could be shipped without spoiling. 1884 Willis Johnson of Cincinnati, Ohio patented his egg beater. 1884 Dr. John Harvey Kellogg applied for a patent for ‘flaked cereal’ (corn flakes). His brother Will Kieth Kellogg became rich by marketing the new cereal commercially. 1884 William Fruen of Minneapolis patented an automatic liquid vending machine. 1885 Good Housekeeping Magazine began publication. 1885 The Exchange Buffet opened, the first self service restaurant. 1885 Philadelphia brand cream cheese went on sale. 1885 Dr Pepper was invented in Waco, Texas. There is no period after the Dr in Dr Pepper. 1885 The first shipment of Florida grapefruit arrived in New York and Philadelphia. 1886 Automatic bottle filler and capper patented. 1886 California oranges first shipped East by rail. 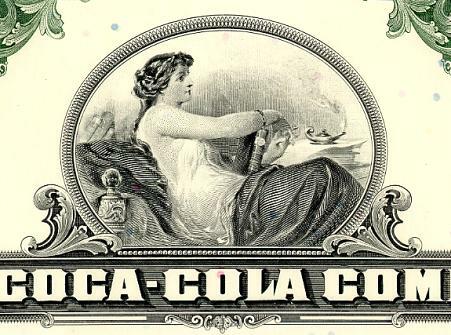 1886 Coca-Cola was invented by pharmacist John Styth Pemberton at Jacob’s Pharmacy in Atlanta. 1886 Josephine Garis Cochran patented the first commercially successful dish washing machine. It became a huge hit at the 1893 Columbian Exposition. Her company evolved into KitchenAid. 1887 A livestock market opened in South St. Paul and sold 363 cattle on its first day. 1887 Asa Candler (1851-1929) a wholesale drugist, purchased the formula for Coca-Cola from John S. Pemberton an Atlanta pharmacist for $2,300. He sold the company in 1919 for $25 million. 1888 A patent for wax coated paper drinking straws (made by a spiral winding process) was issued to Marvin C. Stone of Washington, D.C.
1888 The first chewing gum to be sold in vending machines was made by Thomas Adams. He sold his gum in vending machines on elevated train station platforms in New York. 1888 The Manischewitz brand was founded in a small bakery built to make Passover matzo in Cincinnati. 1888 Refrigerated boxcars made first long-haul shipments of produce and meat. 1889 U.S. agricultural exports were about $574 million a year during the 1880s (76% of total exports). 1889 The word ‘hamburger’ first appeared in print in a Walla Walla, Washington newspaper. 1889 Dan Rylands patented a screw cap for bottles at the Hope Glass Works, Barnsley, Yorkshire, England. 1889 Aunt Jemima Pancake flour mix was introduced in St. Joseph, Missouri, the first self-rising flour for pancakes and the first ready-mix food ever to be introduced commercially. What else? Let me know and I’ll add it to this list. Or make up something.